Oktoberfest! - Anchorage Downtown Partnership, Ltd.
PROST! 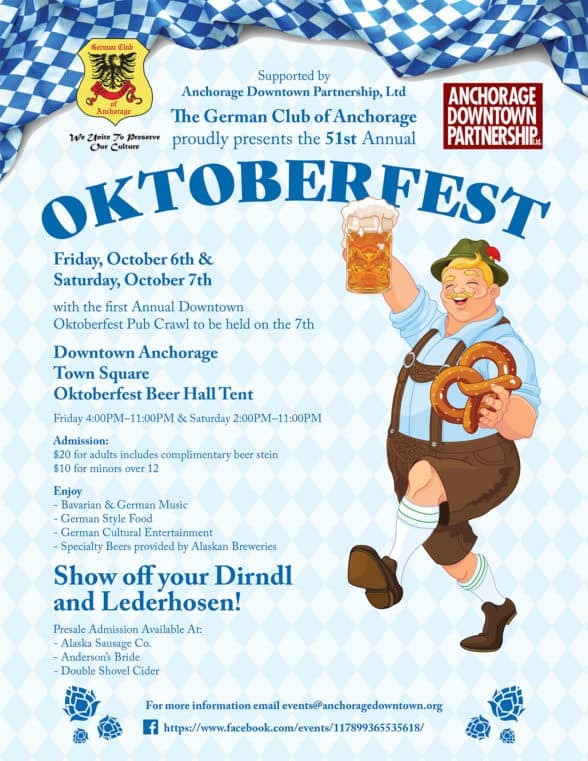 Join the German Club of Anchorage and Anchorage Downtown Partnership, Ltd. in celebrating Oktoberfest on October 6th and 7th! This two-day event begins on Friday in Town Square Park! Friday’s event will kick the downtown Oktoberfest celebration off with a PROST! Join us in Town Square Park under a traditional beer hall tent from 4-11 pm. There will be live music, traditional bell ringers, dancing, food and refreshments from participating breweries. Oktoberfest picks up again Saturday afternoon at 2 pm and will continue until 11 pm that evening. Saturday will be the start of the Oktoberfest Pub Crawl throughout Downtown Anchorage. Saturday’s activities will include the traditional beer tent in town square along with German food, music, dancing and more, and a pub crawl through Downtown at participating pubs. 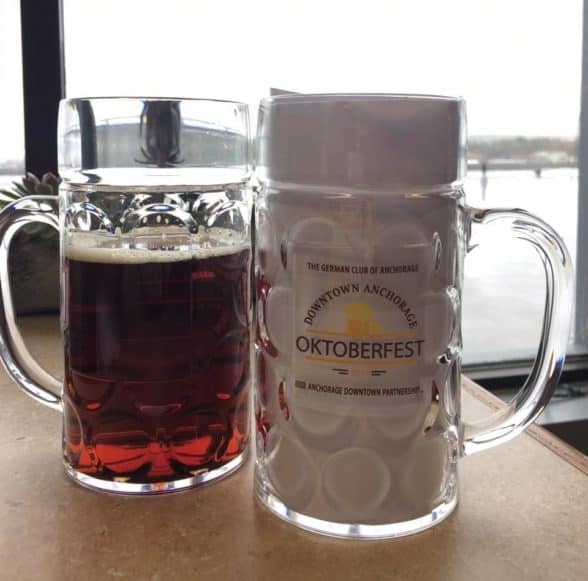 Your ticket to the event is commemorative beer stein and will be available at the beer hall tent and participating businesses during the pub crawl. The steins are only $20 and are your ticket to both days of the event. The stein will get you drink and food specials at all participating bars and restaurants. Children 12 and under get in free, age 12-20 entrance costs $10.